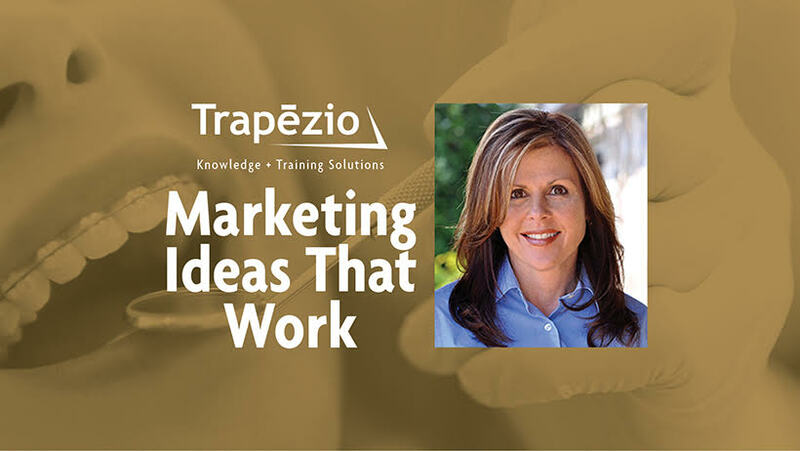 Orthodontic Marketing by Trapezio can be described as boundless enthusiasm of outside the box creativity that is adaptable to use with your top 5 areas of external marketing. When someone mentions orthodontics, you want to be the first one that comes to mind. If one of your referring dentists gives out three orthodontist referrals to a patient, you must be the name that people recognize because you are involved in their community, in their schools; your name is everywhere and you feel like someone they can trust with their orthodontic needs. How can we get you from where you are now to where you want to be? We begin by getting an insight into your practice, your differentiators, your competitors and the role you have within your unique market. Getting the answers to these few questions will allow me to help you create a great marketing plan to help increase your brand awareness and practice production.